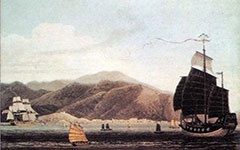 Portugal and People's Republic of China established diplomatic relations, Macau was acknowledged as "Chinese territory under Portuguese administration"
Few places have as unique and colorful a history as Macau. 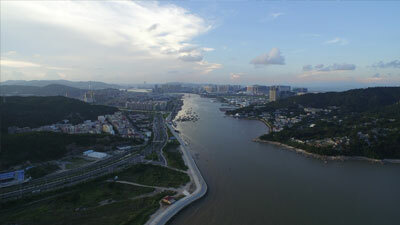 Surrounded by the azure waters of the Pearl River Delta in Southern China, the peninsula Macau occupies was once home to a small Chinese fishing village. 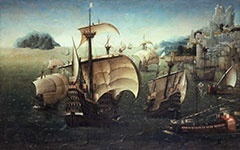 Portuguese merchants arrived in 1513, searching for a trading post from which they could access the wealth and wonders of Imperial China. 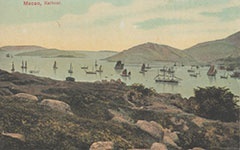 The name they gave the place derives from ‘A-Ma-Gau’, Chinese for ‘Temple of A-Ma’, patron goddess of sailors and fishermen. 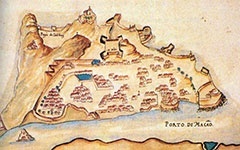 Despite this early encounter with the peninsula, the Portuguese did not settle Macau until 1557, when they arranged lease of the land from the Imperial Chinese court for the sum of twenty kilograms of silver per annum. 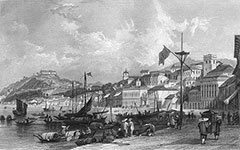 Over the course of the next three centuries, Macau was transformed from a sparsely populated, jungled peninsula to a thriving colonial port. 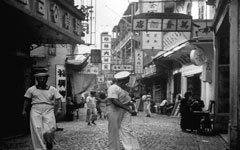 The cultural fusion of this golden age of trade can still be seen in the architecture of the city’s old centre, where illustrious European colonnades sit smoothly alongside classical Chinese pagodas. 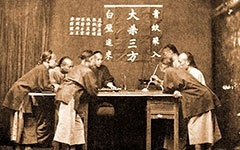 This unique synthesis of East and West has also influenced the unique food, art, and culture of the peninsula. 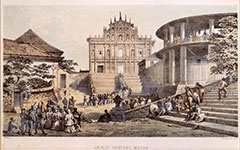 Although the Chinese empire engaged in trading relations with other European empires from 1685 onward, Macau remained unique as a foreign colonial settlement in mighty China. 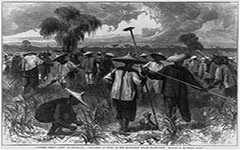 It was only here that the high fashions of post-Renaissance Europe, the influences of Portuguese colonies in Africa, the Americas and India and traditional Chinese cultures melded so effectively. 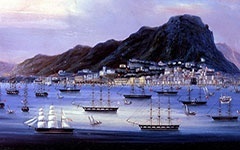 The Chinese ceded Hong-Kong to the British Empire in 1842, compromising yet further the position of Macau. 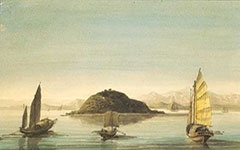 Merchant vessels increasingly opted for the deep-water docks of Victoria Harbour to the East, transferring profits from the Portuguese Empire to the British. 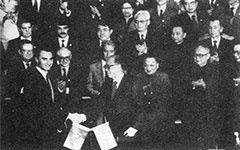 Shortly after this momentous upheaval in regional politics, Macau declared independence from China. 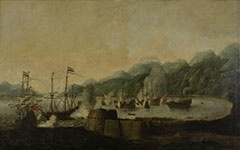 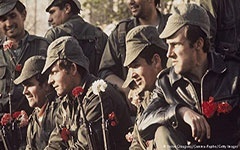 Whilst this was negated by the Chinese, an arrangement was finally arrived at which resulted in the peninsula being a true Portuguese colony, as long as it was not traded or sold to any other imperial power. 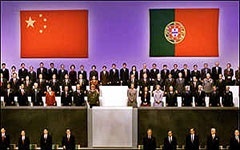 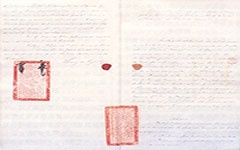 Portuguese ownership was maintained for the better part of 150 years, ensuring the Portuguese a foothold in Asia and contributing to the peninsula’s unique cultural and historical trajectory. 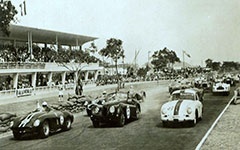 During the second world war, Macau was occupied and overseen by the Japanese, despite Portuguese neutrality. 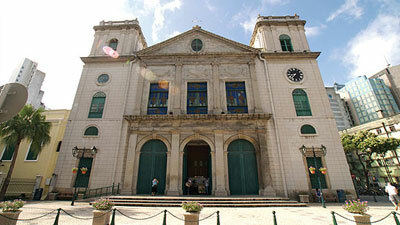 This resulted in a series of bombing attacks from American forces, for which the Portuguese were later compensated. 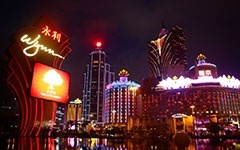 In 1999, Macau was handed back to the Chinese, on the condition that it would remain independent in fiscal, political and legal matters for a further half century. 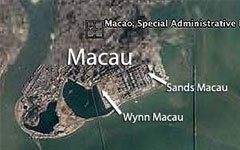 Since this handover, Macau has flourished as a unique and prosperous place, drawing visitors from around the world and boasting some of the highest standards of living, globally. 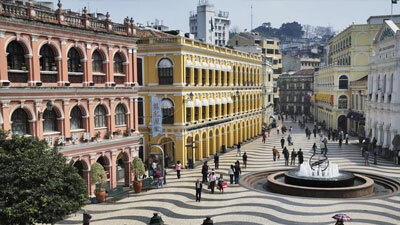 One need only walk through the historic centre of Macau to appreciate the unique history of the place: classical European colonial architecture sits alongside traditional Chinese temples; street food takes as much influence from mainland Chinese cuisine as it does from Portuguese, Indian, American or African tastes. 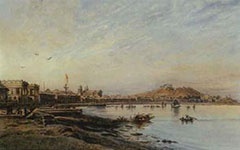 The Portuguese Empire’s other colonies across the world are also evident in their influences – in particular Goa, on the western coast of India. 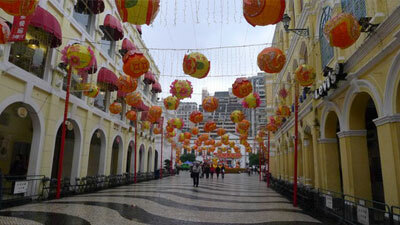 Macau is a truly unique place to visit and experience; with world-class entertainment venues, a fascinating history and unparalleled location, the gateway between East and West is a must see.